At Prudential SG, Namrata is responsible for the overall Customer & Digital Strategy and the on the ground execution across channels. She is an accomplished senior leader with significant exposure across Asset management, Trust banking, Retail banking and now Insurance. She has been responsible for driving multi country, multi regulatory complex transformational initiatives across – business entities in Country as well as in Regional & Global roles. 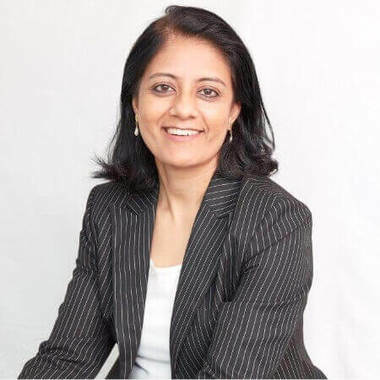 Namrata has led and influenced cross functional and cross-border teams towards building standardized and remarkable customer experiences across business processes and regions. She has been Head Of Technology for NikkoCiti Trust Japan, Head of Credit Operations for Citibank Japan, Regional Head of Digital Engagement & Experience for Asia & Europe at Citibank. She is an amateur radio operator-HAM and loves singing and reading. In this presentation Namrata will be sharing how to build a customer-centric organisation using Digital as the Enabler.